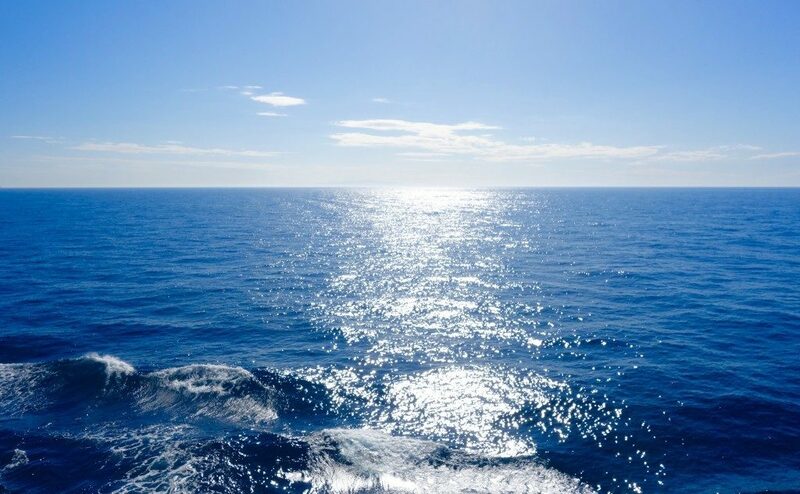 Despite me being a heavy packer, let me start this post by saying that packing or preparing for a Mediterranean Cruise in spring is probably one of the easiest packing tasks. For one, Mediterranean weather is pretty much pleasant the whole year round. Any trip that does not require packing thick coats or jackets is a breeze for me. 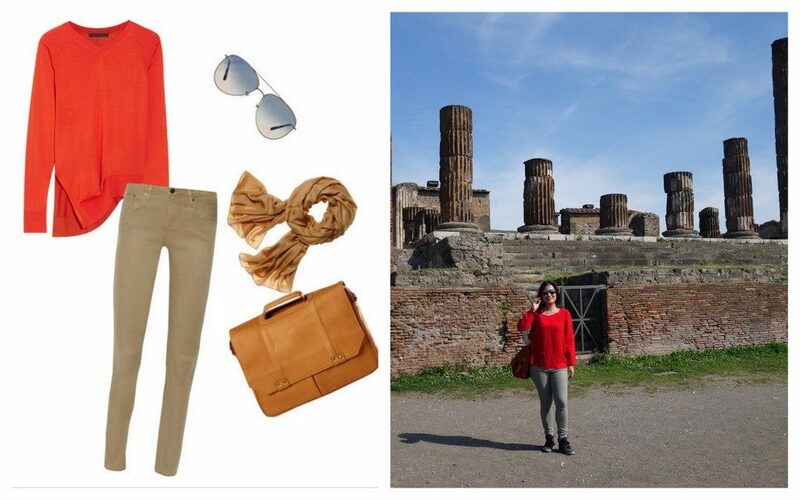 Also, most of the items you need to take on a Mediterranean trip already exists in your wardrobe. No need to buy anything specific. Overall, I think I did okay in packing and being properly clothed in my Mediterranean cruise last month, and in this post I’ll share a few cruise packing tips and also show some of the outfits I wore. Tip # 1: Find out what the weather will be like in each and every city you will be going to. The cruise I went on began and ended in Rome, then Turkey and Greece (a couple of cities in each country). Most weather prediction apps can only see the first 2 weeks and beyond that are just mere approximations. So while I saw that the weather will mostly be sunny with lows of around 10-12 degrees Celsius and highs of 20-25 degrees Celsius, I more or less knew what kind of clothing to bring. 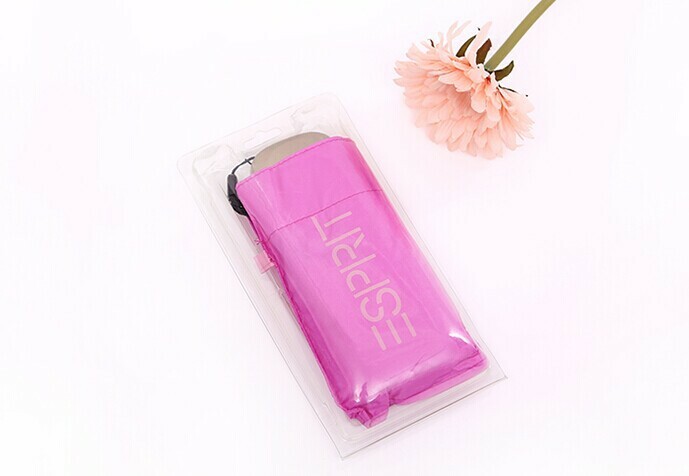 I packed a small umbrella that will be compact enough not only to fit my suitcase but also to carry in my handbag on days that I stepped off the ship to explore the port cities. One of the cruise stops was Turkey, a secular Muslim country. It’s common sense to adhere to local customs and dress conservatively. With the exception of 3 dresses (for formal evenings), I wore pants and light long-sleeved tops throughout the cruise. I also tend to dress more conservatively when I’m travelling alone. Sure I cruised with my cousin but she flew from Los Angeles, and some tours and excursions I did by myself. My clothing mantra when travelling solo: Better to look sensible and safe, than smashing and attract unwanted attention. I believe sensible fashion is the keyword here. Well the tip was originally going to be “bring clothes that you don’t need to iron” but I finally got a hold of Downy Wrinkle Releaser so… bring all the silk and wrinkly tops you want! This is sadly not available in Australia. My cousin lives in Los Angeles and generously brought 3 bottles for me. So the deal with this, you just spray it all over your wrinkly shirt, stretch the shirt / top on its sides and it’s good to go. But to make it even look as if it’s been hand pressed by a professional, I do this the night before, place the shirt in a hanger and leave it over night. The next day, the will look as if little ironing elves have been working overnight! I used this a lot during the cruise and was glad I didn’t need to iron anything as it can be costly to have items ironed, and there’s no self-ironing provision. 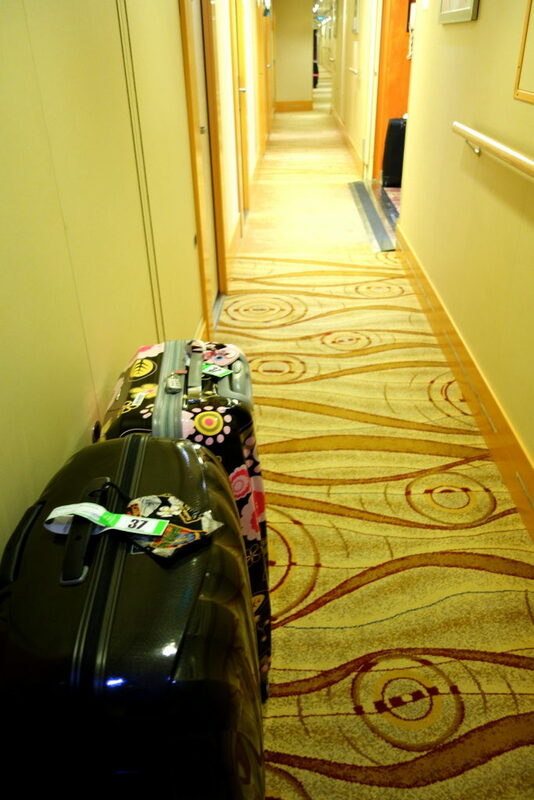 I say this because on the very last night of the cruise (when you’d want to be spending your time relaxing or having your last hurrah / party), all guests are required to have their suitcases in the hallway by 11PM. This is so the staff can take all luggage to the port upon disembarkation and this avoids congestion in the morning when everyone is lining to get out of the ship. If you bring a suitcase that’s not too sturdy or has the tendency to give your problems when closing, then you’d end up spending your last precious hours in the cruise just repacking. I felt glad that I didn’t have to do an all-nighter just to repack with the Samsonite Cosmolite. 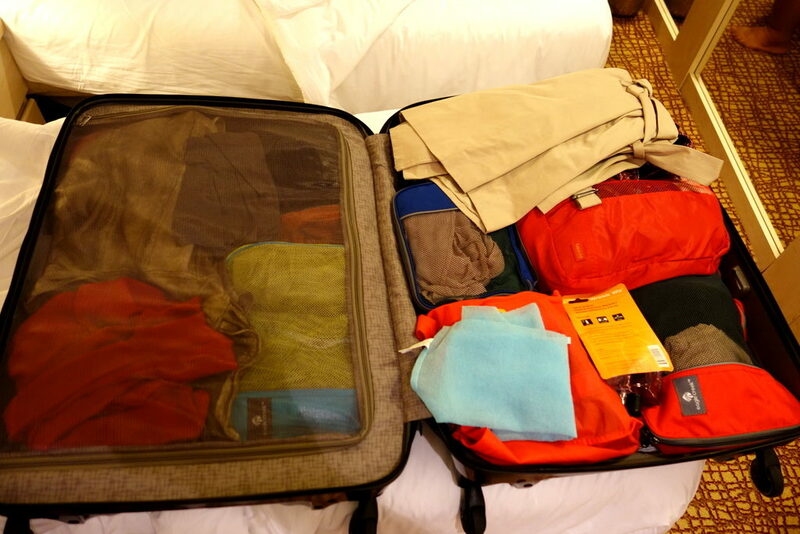 Read my full review of the Samsonite Cosmolite suitcase that I took with me for this trip. 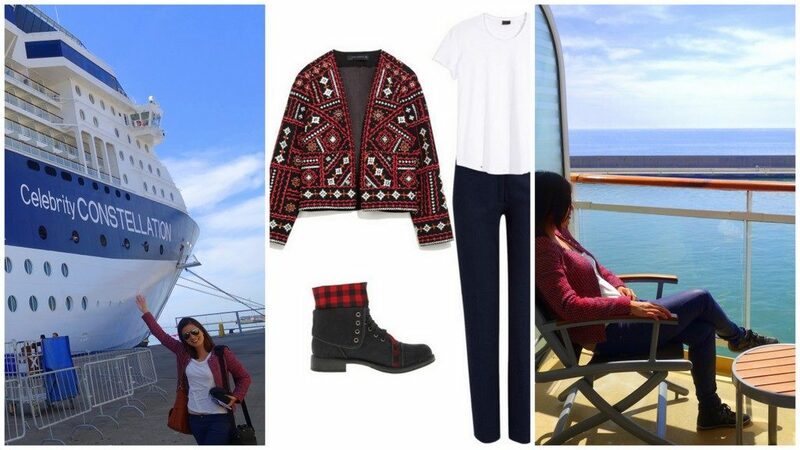 Now that I’ve got the essential tips out of the way, here are some of the things I wore throughout the Mediterranean. Do take note: I did not bring any footwear with heels at all. Ever since this incident, I don’t think I’ve ever worn heels anymore. It’s all sensible footwear for me from hereon. More so in this trip where the excursions required a lot of walking. I always wear light jackets that have dual purpose: to keep me warm , and also to make me look polished immediately even if I’m wearing a T-shirt underneath. Outfit 2: Always bring a scarf! Always bring with you a scarf, especially in cities like Istanbul, where you will not be allowed inside places of worship without a head scarf. Make sure that the scarf is also large enough to also cover your upper arms. A lot of cities in the Mediterranean also start out chilly in the mornings, then warm during the day, and back to being chilly by sunset again. A sensible top would be a light chambray that you can fold into 3/4 sleeves and then roll down into full sleeves when needed. I’m not too thrilled with this outfit actually. I don’t know why I picked this long shapeless dress …..ah, I know why: It’s to make room for the graniose dinner! Tip: If you’re not feeling too happy with the outfit, amp up the makeup at least. Santorini is the perfect example of a location where it’s quite cold in the early morning but most of the day is sunny and warm. And because Santorini is elevated, there are certain spots that are especially windy. 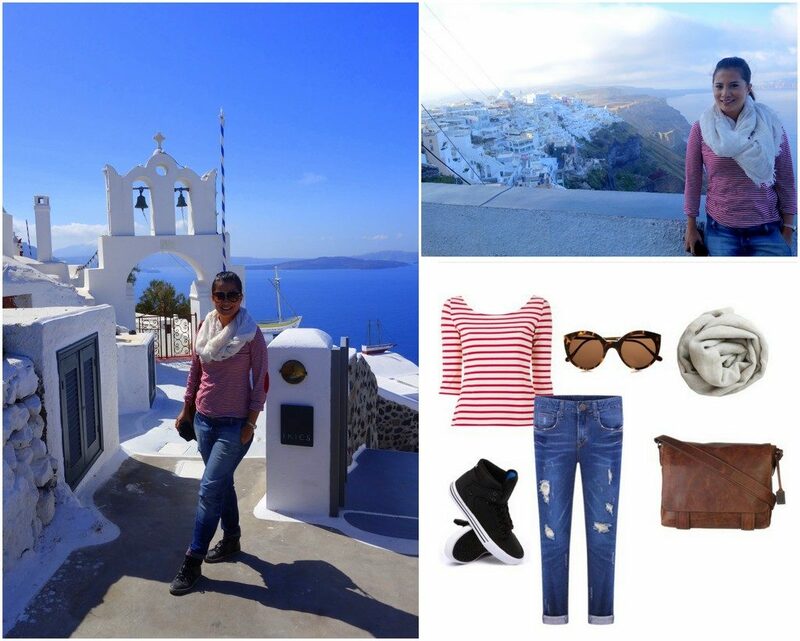 While a jacket is not necessary in Santorini, a thick scarf is advised. I also decided to wear colours to match the place. As Santorini is mostly white and blue, I added a pop of red. I brought a lot of tops that are long sleeved yet with breathable and airy fabric. Again this was great for the chilly early morning in Naples but also kept me cool in the middle of the day as we were exploring Pompeii. This is my go-to outfit whenever it’s going to be a day involving travel / or simply airport days. Comfortable shoes with no buckles, and absolutely no belts. This is to breeze through airport security. I prefer travelling with tops / shirts with no buttons too. And same tip with the jacket, I wear one that will keep me warm and also be able to make me look more pulled together in an instant. Now I’d love to know: Do you dress any differently when you travel alone? 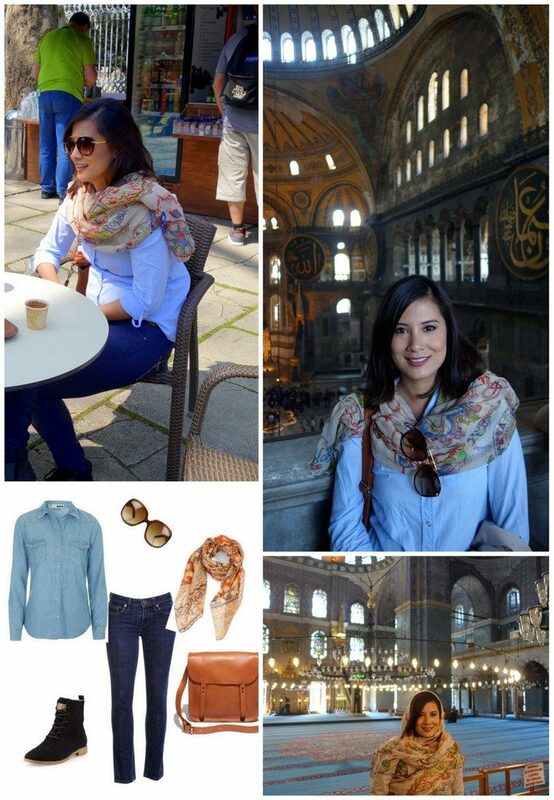 And do you have any travel fashion tips you can share? I never knew that about the cases on the last night of the cruise. I loved your outfit choices, I don’t know how I would fare because I cannot pack lightly to save my life. In fact, I’m such a bad packer, that I’ve never packed my own case. When I was little my mum packed, when I moved out, my friends packed and now I’m married my husband always packs for me! What’s the baggage allowance on the cruise? And I totally need some of that ironing magic, I’m going to buy a bucketload next time I got to the States! OMG what is this wrinkle release stuff? It sounds fantastic! I’ll have to buy some when I’m next in the US. It is no secrete that I am a fan of kaftans! So packing kaftans are perfect for travelling because they are so light to pack, take up nearly no space at all and can be worn as cover up’s or over slips as summer dresses. So really versatile pieces. Just the fashion lesson I was after. Thanks lovely one. Nope, I dont dress any different when I travel alone, bit boring with my dress sense actually. I love the challenge of finding the right clothes to get through the last 24hrs of the cruise, and often home too. I ended up stuffing 2 days of clothes into handbags for ‘just in case’, so silly. Wrinkled clothes are a huge pet peeve of mine, and it’s especially hard to keep things wrinkle-free when traveling. 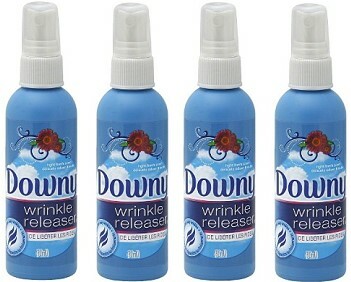 I am going on a cruise next week and I will definitely be buying some of the Downy Wrinkle Release. Thank you for suggesting this – I had no idea that product even existed! Love your outfits, too!